Thank you for visiting the Raleigh Family Law Page for The Doyle Law Group, P.A. The term Family Law is often used as an all inclusive term meant to cover all issues related not only to an actual “divorce,” but also to family law related matters. Below we list topics associated with the term “family law” that our Raleigh family law attorneys can help you with and you may click on the link to find information related to each topic. If you did intend to research “absolute divorce” or “simple divorce,” then please read on below the list to find a discussion of divorce and the process to obtain a divorce in North Carolina. The law of involving divorce in North Carolina is governed by Chapter 50, Article 1 of the North Carolina General Statutes. An absolute divorce is the legal termination of a marriage. A divorce may be obtained in North Carolina through a civil litigation process by filing a Complaint for Absolute Divorce and the entry of a judgment for Divorce. WHAT IS THE PROCESS FOR NORTH CAROLINA DIVORCE? 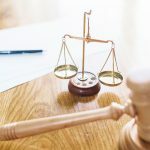 The actual process of obtaining a divorce in North Carolina is a relatively simple process, however it must be done exactly “right,” and some issues may arise that cause significant problems. All of the standard rules of North Carolina Civil Procedure shall apply. North Carolina requires a party seeking a divorce to prepare and file a Complaint for Absolute Divorce, accompanied of course by a Civil Summons and any other locally required filings such as cover sheets. The parties have not at any time since the date of separation resumed the marital relationship. Name any minor children born to the marriage, including dates of birth. In other words, you and your spouse must have been separated for at least 12 months and one day, and at least one of you must have intended the separation to be permanent. You must also allege that you remained separated and did not resume the “marital relationship” during the 12 month separation period. Other technical language(such as allegation of jurisdiction, status of parties, prayer for relief, etc) is required or advisable, however the aforementioned statements are the heart and soul of the divorce complaint. One must also make certain to file the documents in the appropriate state and county. See N.C.G.S § 50-8 for additional information. WHAT PROOF OF SEPARATION IS REQUIRED FOR DIVORCE IN NORTH CAROLINA? There is a misconception among many that one must have some sort of proof establishing a “legal separation date,” but that is not the case. 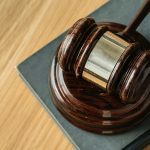 If the other party disputes the accusations, then additional evidence may be necessary to convince the Court that your allegation of the date of separation is in fact correct. This rarely happens, but on occasion one party will file an Answer to the Divorce Complaint claiming the separation date was false or that they had resumed the marital relationship at some point during the separation period. In that event, the Court will hear evidence and decide based on the greater weight of the evidence. The other party may file an Answer admitting or denying the allegations, or they may not, in which case the allegations will be deemed admitted. A hearing must still be calendared and noticed appropriately and if everything is in order, the Judge will grant your divorce. Attorney’s often make use of Motions for Summary Judgment or Divorce before the clerk in order to spare their client a trip to Court. If you are representing yourself, you will have to appear and testify in your divorce case as to the basic elements you alleged as outlined above. HOW DOES DIVORCE EFFECT YOU? Failure to fully resolve those issues prior to divorce being granted, will forever waive your right to have those issues adjudicated in Court. If you have a valid Separation Agreement and Property Settlement, you can file an action based upon that Agreement after a divorce if the other party violates its terms. If that Agreement does not provide for a final resolution of support and property division, then you will be left without a remedy in divorce law. Contact the Raleigh family law lawyers at The Doyle Law Group by calling (919) 301-8843 or by completing the form below. 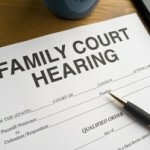 Contact Us to Get Professional Legal Assistance on Family Law: (919) 301-8843. How Long Do You Have to be Separated Before You Can Divorce in NC?